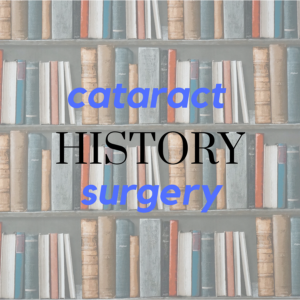 HIstory of Cataract Surgery | Randall Wong, M.D. This article is part of a series to recognize Cataract Awareness Month. Cataracts—the clouding of the lens of the eye is a natural part of the aging process and today cataract removal is one of the most common surgeries performed and one of the safest and most effective surgeries, but there was a long history of failure before the modern age of safe and effective cataract surgery. Couching - The First "Surgery"
The first cataract surgery was described in a textbook written by Sushruta who was an Indian physician who lived on the banks of the Ganges river around 1000 BC. The method he used was called “couching” and consisted of using a needle or a thorn to push the clouded lens downwards into the eye. The stick was used as a tool to displace the clouded white cataract to clear the visual axis. Once the patient claimed that he or she could see clearly the couching stopped. The method had abysmal results with only about a 30% success rate. Today couching is still performed in some remote areas of the third world. The cataract is not actually removed from the eye, but dislodged so that the visual axis is clear. Completely removing the cataract was first done in 1747 by Jacques Daviel in Paris. Again, the surgery had a high failure rate and many patients died from the procedure. A major difficulty was infection and lack of understanding of "germs." This was the state of cataract surgery for about 150 years. 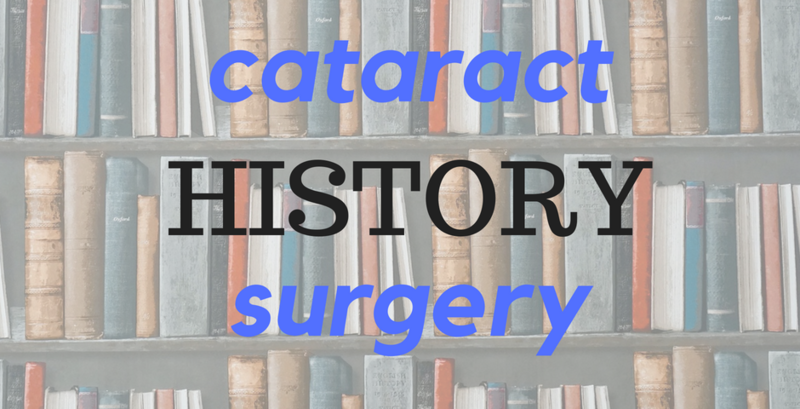 In the early part of 20th century, cataract surgery patients were given an anesthesia, sometimes cocaine, and the cataract was removed through an incision. Irrigation was used to remove the cataract and the incision was sutured shut. The surgery lasted for hours and patients had to lie flat and keep their heads immobilized for two weeks and once they healed from the surgery they had to wear thick glasses that replaced their removed lenses. There was no such thing as an intraocular lens. As the natural lens had been removed, thicker glasses were required to make up for the focusing power lost by removal of the cataract. In 1949 Harold Ridley implanted the first intraocular lens. He was also the inventor of the intraocular lens which made him a pioneer in the emerging biomedical engineering field and paved the way for more developments in implanted medical devices. During WWII, Ridley noted that when shards of acrylic from aircraft cockpit windows became lodged in pilots' eyes, inflammatory rejection did not occur as did in the case of glass. Making intraocular implans of acrylic were the solution. The eyes don't react to acrylic and there was now a medium to create intraocular lenses. Finally, patients were freed from the coke-bottle thick cataract glasses that had never worked well as replacements for their natural lens. The technique of phacoemulsification, which emulsifies the clouded cataract lens using ultrasound, was introduced in 1967 by Charles Kelman. His inspiration was his dentist’s ultrasound descaler used to break up and remove deposits on teeth. The first foldable intraocular lens was used in 1978. A foldable lens can be rolled and will fit inside smaller incisions. 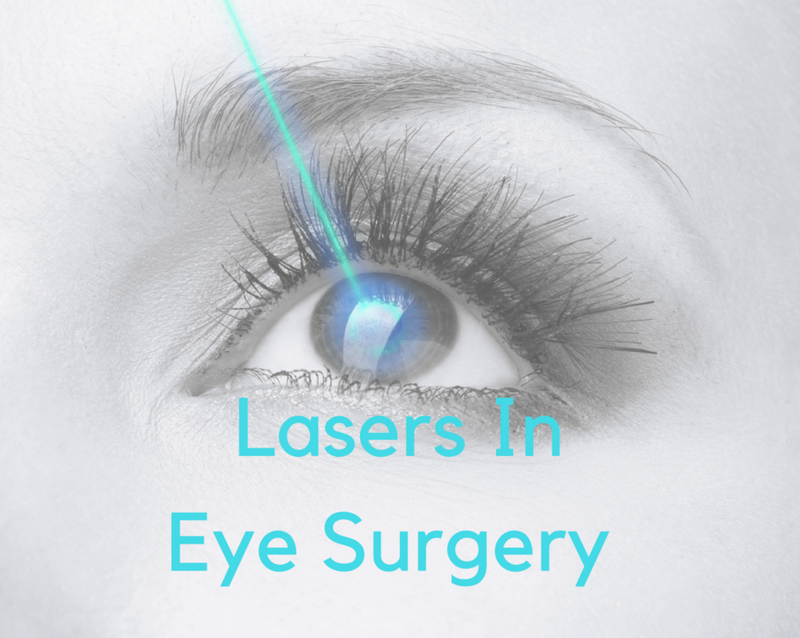 In 2009, laser cataract surgery was introduced. It is a bladeless procedure that uses a computer to create a three-dimensional map of the eye and using that map the computer-aided device precisely removes the cataract and suctions it out. Laser cataract surgery is theoretically allows certain steps of cataract surgery to be done more accurately. Not all ophthalmologists believe laser cataract surgery is worth the cost noting that results are comparable to phacoemulsification. Even though modern cataract surgery is extremely safe and effective, make sure you find an ophthalmologist with whom you are comfortable. Get recommendations from friends who have had the procedure or from your family eye doctor. Make sure to find someone who answers all your questions. There are also many intraocular lens options from which to choose.